Tripwant is a global collaborative tourism platform with API solution integrating B2B2C, data search, real time chat and social network for tourism partners around the globe. We offer interaction and tourism resources sharing between tour operators and end users. It is a free FIT solution for marketing and selling tourism products in Asia Pacific region especially Greater China Markets. Tripwant also provides E-booking solution for collaborative partners with local tours, niche market activities etc. Another advantage of Tripwant’s platform is the utilization of social media as a core communication channel. Our focus of the online platform is for Tripwanters to meet up, communicate and share different journeys with one another. We encourage Tripwanters to bring all travellers around the globe together and to share their insights, special thoughts and feelings about their exclusive travel experience. Through interactions among Tripwanters, you can share your travel with the world and be inspired by others for your next journey. We understand contemporary travel needs and aim to provide you with more choices for your next dream destination. You can experience so much more of the world. To become a user on Tripwant, you have to register as a Tripwanter on our website. You can then browse and select your favorite tours and book the tours, 100 percent at your own discretion! There are only 3 steps to go before you enjoy your next travel experience! To become a tour operator on Tripwant, you have to register yourself as a Partner on our website. You can start sharing any unique, exciting and interesting tours or activities on our tourism platform FREE of charge. By spending a little time filling out the tour/product information, you have the opportunity to reach out to Tripwanters around the globe! So, what are you waiting for? Get started and enjoy incredible travel experience on Tripwant today! Tripwant is a global tourism online platform with a redefined distribution chain for travel and leisure industry. Through our platform, trade of diverse tourism products is available without boundaries and time limits. The sales are driven by the end users instead of conventional distributors. The more travellers and stakeholders participate in the network, more productive harnessing collective intelligence could be enhanced. The user-friendly knowledge repository of Tripwant is a self-contained system to support and manage heterogeneous storage resources, users are able to add, maintain, recycle, and terminate data, track of off-line media, and operate autonomously. The motto of Tripwant is Travel in Another Way. Mr HK Wong has spent over 20 years in marketing consultancy and event management in Asia Pacific, of which over 10 years with destinations marketing and national tourism organizations. Mr Wong is the founder of Asia Pacific E Travel Innovators Association (APETIA). He has profound knowledge in tourism products development and destinations marketing, especially sustainable tourism and community-based related products. Mr Wong has also developed a strong global network with tourism stakeholders. He has been spending years as the official tourism representative for Hong Kong and Greater China market of Philippines and Zimbabwe. He earned his Master degree in sustainable tourism from the Chinese University of Hong Kong, and also completed the advanced management program co-organized by UC Berkeley and Nanyang Technological University of Singapore with the focus of Asian Leaderships and innovative entrepreneurships. In addition, he achieved the professional certificate of Tourism Crisis Management of University of Florida, USA and a diploma in Food Culture and Gastronomy from HEG and l‘universite Reims Champagne-Ardenne of France. He is a member of PATA future technology committee and a voluntary adviser for Association of National Tourist Office Representatives Hong Kong (ANTOR HK). Being a nature lover and culture admirer, Mr Wong also enjoys sharing his travel experiences through painting, writing and photography. Mr Jan Chan is the founder of HK Discovery (founded in 2000) and co-founder of Asia Pacific E Travel Innovators Association (APETIA). He also launched the free Hiking Apps "Hiking Guide" (野Guide) for hikers to discover the beauty of countryside in Hong Kong. Mr. Chan has been involved in a number of large-scale eco-tourism projects in Hong Kong and overseas. He organizes the "Mighty Rovers" program (「野外長征」探索體驗計劃) every year and hosts the eco-tourism programme "ExploreMore" (探索大世界). He has visited to the Antarctica, the Arctic, deserts, tropical rainforests and high mountains. Mr Chan described himself as a fun and creative young person. His personal interests are diversified, including adventure challenges, fishing, hiking, backpacking, photography and art. Mr Chan enjoys his work. “Work Smart & Play Hard” is his attitude to life. 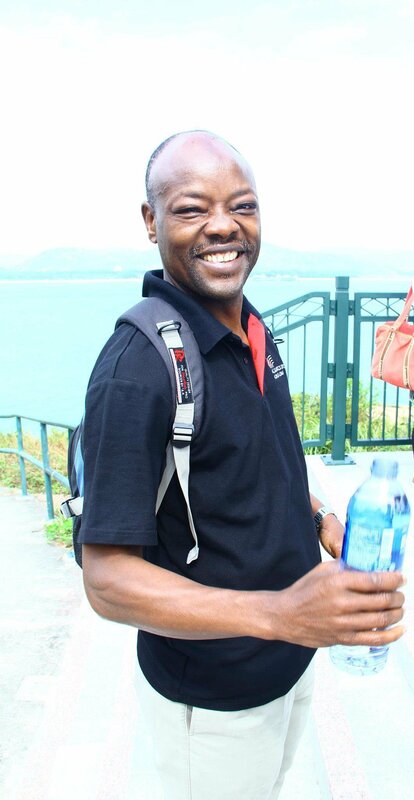 Dr. Lawal Marafa, a professor at the Department of Geography and Resource Management, Chinese University of Hong Kong, is the Director of Postgraduate programme in Sustainable Tourism. Dr. Marafa is a member of the International Ecotourism Society, member of Board of Directors of World Leisure Organization, member of commission on the Geography of Tourism, Leisure and Global Change. Besides, Dr. Marafa is the regional coordinator for the New Partnership for Africa's Development (NEPAD), Asia, which strives to promote the long term vision for the development of Africa through various types of partnerships. "Tripwant has taken tourism to a higher platform by providing the opportunity to display product, tour, explore and expand markets, update information and interact with others, which can benefit the global tourism sustainability ...Congratulations to Tripwant for taking this lead in sharing the world through amazing tourism experiences!"